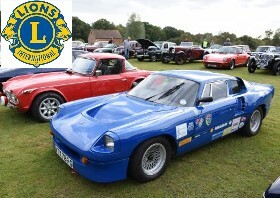 Uckfield & District Lions Club held their 15th annual Classic Car Run, and a 55-mile routed tour through the Kent and Sussex countryside. The event attracted 128 entries and raised funds in excess of £3,000 for the local Phab Club, who wish to purchase a 'magic carpet' - an interactive, inclusive, digital display piece of equipment which responds to movement of both ambulant and wheelchair users. MAPS@ Aworth and Aworth Survey Consultants were pleased to assist Uckfield & District Lions Club again this year with supplying the official route maps to the drivers.